Scorpio has been one of the most loved and trusted of all Mahindra cars in India. With the divide between the cost of diesel and petrol vehicles getting narrower every year, it makes sense to introduce petrol versions of popular cars that are available in diesel versions only. Mahindra has taken a step in this direction by announcing the petrol version of Scorpio. It will be fitted with a 2.2-litre petrol engine that develops 140 bhp of power along with 280 Nm of torque. No design changes are expected in this car. Mahindra motors also have plans to launch the petrol version of its flagship SUV, XUV500. It will be launched by the first quarter of 2018. Presently, the vehicle is offered with a choice of two diesel engines – 1.99-litre and 2.2-litre. It will sport the same petrol engine as Scorpio petrol i.e. the 2.2-litre petrol engine oozing 140 bhp of power and 280 Nm of torque. Recent reports indicate that the company is investing Rs. 1000 Crore in the development of petrol engines for the next two – three years. The vehicle will continue to compete with Toyota Fortuner and Toyota Innova. This year will see the launch of the hybrid version of one of the most successful of Mahindra car models, XUV500. The company is using Intelli-hybrid technology in this car. It incorporates an automatic start/stop mechanism that switches the engine off in case the car is stationary for three seconds. XUV500 Hybrid will be powered by an electric motor that works in conjunction with a 2.2-litre mhawk diesel engine and will return more mileage than the regular diesel model. 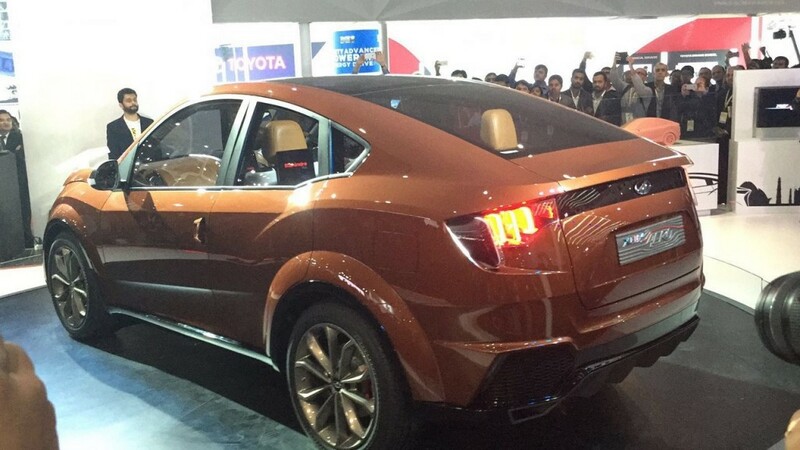 The most awaited one of all upcoming Mahindra cars in India is XUV Aero, the coupe-like SUV. It attracted the attention of auto enthusiasts when it was showcased for the first time at the 2016 Delhi Auto Expo. The unique styling of the car is its USP. It is touted to be one of the best looking and well equipped of all Mahindra car models in India. In fact, the company plans to take forward this design language in its future projects. The car will house a 2.2-litre mHawk diesel engine or maybe the new 1.99-litre mHawk engine. It will also be available with 2.2-litre petrol engine. A six-speed manual transmission will be on duty and there might even be an automatic transmission of offer. This beauty will lock horns with the likes of Toyota Fortuner, Skoda Yeti and Hyundai Tuscon. Another one of forthcoming Mahindra cars in India in 2017-2018 is the facelifted version of SsangYong Rexton. It will make its way in India by the end of 2017 or at the 2018 Auto Expo. The vehicle will be based on an all new ladder-frame chassis and will be around 50Kg lighter than its Korean counterpart. This is going to significantly improve the performance and efficiency of this SUV. It will have a more aggressive design language and will house several premium features. The SUV will sport a new 2.0-litre GDi petrol and 2.2-litre, 178 bhp diesel engine under its hood. While the diesel variants will get either a six-speed manual or 7-speed automatic gearbox, the petrol ones are likely to host an 8-speed automatic unit. After having registered its presence in the mini crossover and compact crossover segment with KUV100 and TUV100 respectively, Mahindra & Mahindra has its eyes firmly set on the MPV segment. It is soon going to launch Mahindra TUV500 that will come as a replacement to Xylo. It will compete directly with Toyota Innova Crysta. This one will be a nine seater MPV and will be constructed on a new platform. Powering this vehicle would be a 2.2-litre mHawk VGT diesel engine producing 140 bhp of power and 330 Nm of peak torque. The engine might be mated with either 6-speed manual or 6-speed automatic transmission. 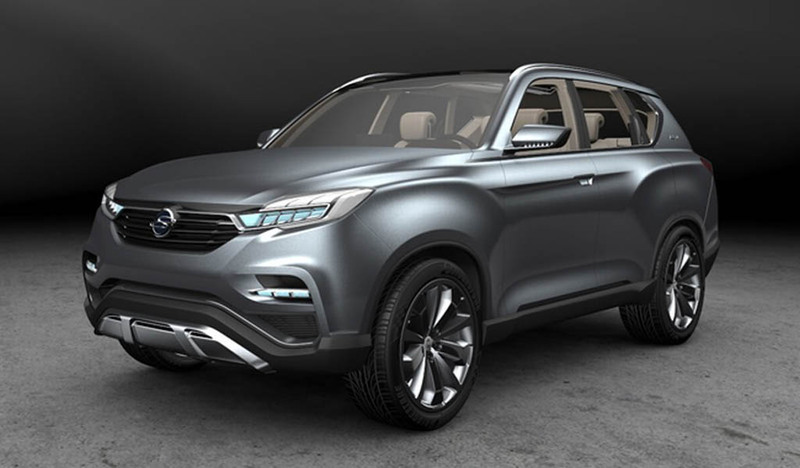 Another SUV from the SsangYong lineup after Rexton, Korando is expected to be launched by the end of this year. The vehicle is already quite popular amongst all Mahindra car models in the international market due to its sporty body, angular design and large wheel arches. It will be equipped with the frugal and powerful 2.3-litre Mercedes Benz engine that produces 175 PS of power and 360 Nm of torque. The engine will be combined with a 6-speed automatic transmission. This beast will take on the likes of Skoda Yeti, Renault Koleos and Chevrolet Captiva. Mahindra & Mahindra has confirmed that it is working on next generation Thar, which is expected to be launched in 2018. It will carry new styling and will be loaded with advanced connectivity features. It will have a lighter chassis. The vehicle will carry a more frugal 1.5-litre, 100 bhp diesel mill from the mHawk family of diesel engines. The new version of this consistent performer from Mahindra’s stable will be lighter, more modern and more fuel efficient. A new front wheel drive SUV, to be slotted below XUV500, will be launched by the company by next year. Named XUV300, this car is likely to host the 1.5-litre mHawk diesel engine that is sported by TUV300. It emits 100 bhp of power along with 240Nm of peak torque. The engine could be mated with a 5-speed manual or automated transmission. It will be up against the likes of Hyundai Creta, Renault Duster, and Honda BR-V.
Code named S107, Mahindra KUV100 Electric, is about to be launched by next year. This car is poised to be the most affordable electric SUV in the world. This vehicle will attract customers who are looking for an affordably priced and easy-to-drive car. Apart from this car, the company hopes to bring in electric versions of several new Mahindra cars in India. With the launch of all these mighty Mahindra cars in India in the next two years, the fight in the compact SUV and SUV segment is expected to get fiercer. It would be interesting to note what strategies the rivals adopt to up their game.